With so many different kinds of videos out there and many places to display them, how do you know which kind would work best for your business? In this article I will try to explain a few different types for you so you can make your own decision on what may work for your company and get the biggest return on your investment. These are great to introduce yourself, explain what it is that you do, and even show your facilities to new and prospective customers. These are quite popular and a great way to show that you are an authority or an expert by showing the audience how to fix, maintain or identify a problem. They can also be used to show (explain) complex concepts, processes and ideas very simply. Probably the simplest video to make or have done photo slideshow videos showing you, your team, your store or even the work you do can be very effective. 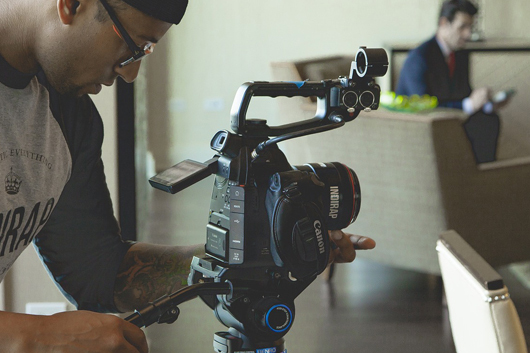 Word-of-mouth or personal recommendations are great, but having an enthusiastic, happy customer tell about their experience in a video can be great for your business. They don’t need to be the highest quality - cell phone and webcam videos can work well if the person is believable. You can record a presentation or a speech you’ve done as a video and put it up on your site. Even live webinars can be recorded for playback later. With this type of video, you have someone asking questions and you talk about your business. These can be very effective because the viewer can get to know you and what you do. A video with you showing how something you sell works, or how to identify a problem, or a specialized process or machine you have can be a good way to show off your business and services. When you add new services or a new product that you offer, a short video telling about it and then posted on Facebook or on your website can get people interested or even remind them about your business. A video that shows before and after, how successful what you did was, or how it transformed the end buyer can make people want to have the same experience, too. These type of videos can really help with the viewer getting a good overall look at your business and who they would be dealing with. With any of your business marketing and promotional videos, it is important that the video has a focus and a specific action that you want viewers to take once they are finished: click to order, follow you on Facebook, subscribe to your channel, or contact you. A neat trick is to make an offer of a free gift early on in the video - download, e-book, or something else - that you then give them at the end of the video. Remember that videos convert much more than written copy or website content, so don’t be surprised when people who call for your services or products are ready to buy immediately and need no convincing. Make your videos entertaining, informative and exciting for your customers. You want them to be excited to see your videos and what you have to say. It doesn’t have to be a big Hollywood production, just as long as it has some real value and benefit to the viewer. People love stories. So tell your potential customers your story in a unique way and get them to understand why you do what you do in a personable way. Also, make sure that they get the treatment or experience that was portrayed in the video they watched. You don’t want them to go away thinking they were tricked or misled by what you showed in your presentation or video.